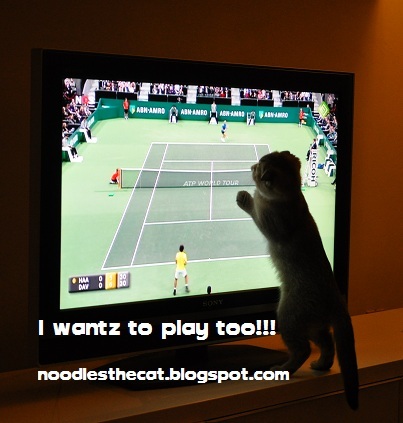 I IZ NOODLES THE CAT: Let me play!! I see humanz play all the time, but they never let me join. They are scared I´ll beat them! !